Ginkgo, with antioxidant action, favours the function of microcirculation; Hawthorn and Japanese Knotweed favour the normal function of the cardiovascular system, moreover Hawthorn favours relaxation and mental well-being. Ginger helps prevent nausea. 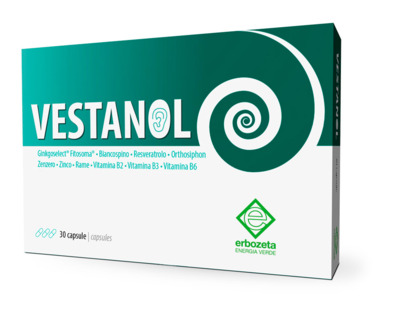 Vitamins B2, B3 and B6 contrinute to the normal function of the nervous system. Moreover, Vitamins B2 and B3 contribute to the normal maintenance of mucous membranes. Ginkgoselect® Phytosome®, Hawthorn, Ginger, Ortosiphon, Pido-Zinc® Zinc pidolate, Japanese Knotweed, Vitamin B3, Copper gluconate, Vitamin B2, Vitamin B6. Take 1 capsule a day, preferably in the evening before going to bed. You belong to the medical category?